I live and work in SE Asia for 10 months of the year and have done for many years. Patong is Benidorm but without the class oO. Rip-offs abound and increasingly has spread to the rest of the island. Thailand, the real Thailand, has to be one of the easiest places in the world to travel around, do it yourself, just book a flight. 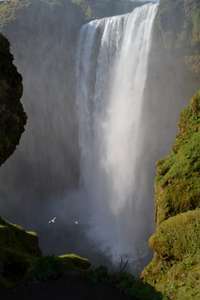 June isnt exactly the wet season, its a great time to go. Yes there may be rain but its usually short bursts late or early and then clears up and is a welcome relief. ​pat.... all depends what you want really. Bangkok has everything. Great nightlife, great markets, great food, historical sites (and the sleaze side of life if thats what you want) and is very very cheap even with the pound being so poor. I have my favourites. but you have to be more specific to what you'd like. I've been many times to thailand but I head to other places like Koh Sok National Park Railay Beach Ko phayam Samilian Islands Pracup Kiri Kan and many more. but if you decide only to do bkk for 5 nights. I would probably stay near the centre....between sukhumvit soi 1 to 24...would be my advice for accomodation. dont book that trip, normal boat trip will cost £20pp. as for phuket, patong is the busy place, but if u are a couple, or elder, then go to the other beaches. I've been twice..
You don't want to position yourself in the centre, nothing but wilderness and glaciers. We've stayed in Reykjavik twice and visited plenty of amazing places driving from there but our next trip will be a circuit of the island to get to those places that were too far away. If you zoom in to the picture in post #2 you can see us next to the waterfall on our wedding day (this was around 830pm in the evening).We got married on 1st June, so to give you an idea of scenery at this time of year here are a few snaps. It was actually suprisingly warm and most of these pictures were taken in the evening but it was 23 hours of daylight. link for the 29th december please? Can't do the 29th. Thanks for the info anyway - much appreciated. Did you see the deal to Gran Canaria leaving on 29th Dec? Unless you leave early in December you're unlikely to get many bargains unfortunately. What a bargain - have some heat from me. We're looking for something during Christmas but every thing is mega expensive this time of the year. If you find anything reasonably priced please share. We're happy to fly Christmas and New Year days as we don't celebrate Christmas. Are those the only dates available at that price? 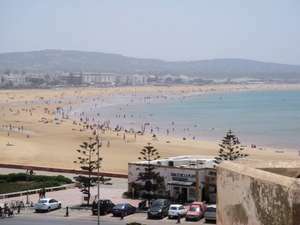 Love Essaouira and the whole country! Can't believe some of the crap some people are writing on here. Weather isn't hot that time of the year, daytime highs only usually make it up to 20°C, but hey for a £28 flight who's complaining! If only I had more leave left! I can't recommend a central hotel as we stayed on the outskirts. You can get a train from the Gare Du Nord to the centre for about 19 euros each way. In terms of sights, Eiffel Tower, Cruise down the Seine, Notre Dame and The Louvre are the obvious ones. I would say keep an eye on your wallets and purses though as my missus had a purse with 120 euros in stolen on the subway. Also be aware of the gold ring scam where people try to pretend that you have dropped a gold ring and then when you have taken it from them they demand money from you. The ring is cheap tat and worth about a £1 so just tell them to go away politely in French or English, I found F**k off was universal. Other than that I would happily go again as it was lovely place to visit. Like this a lot. Can anyone recommend a specific central hotel? How would you recommend we travel from airport to hotel? Best sights to see in only a couple of days?